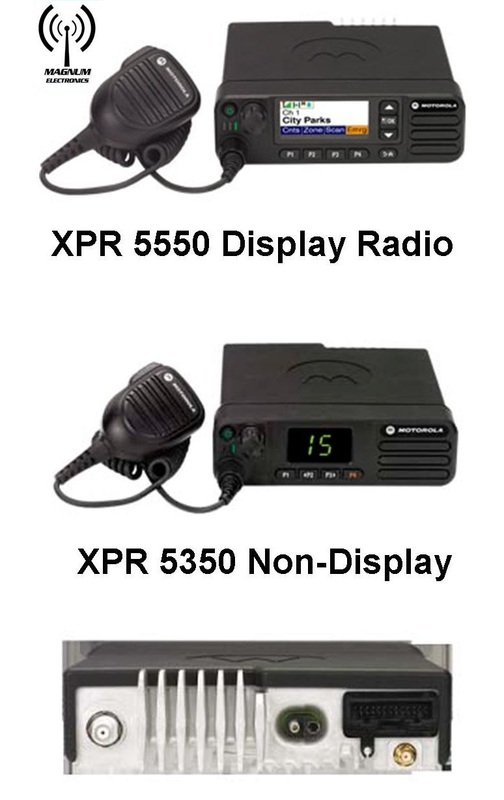 Advantages of New Motorola DMR MOTOTRBO XPR 5550 | Magnum Electronics, Inc.
Motorola’s newest base/mobile offering to the MOTOTRBO DMR platform is the XPR 5000 series. Introduced in the VHF and UHF bands, the radios can be programmed with up to 1,000 analog and digital channels providing easier migration and interoperability. The flagship XPR 5550 includes a color display with day and night modes for easier viewing. The XPR 5350 has a numeric channel display and 32 channel capability. An internal GPS receiver and text messaging is standard on both models. Workers can monitor and respond to voice radio traffic when not in the vehicle using any standard Bluetooth headset. This can enhance productivity by giving your workforce the ability to stay in touch when away from the mobile radio. Bluetooth is also an easy way to connect hand-held scanners, bar code readers, and other data collection devices. You will need to purchase the HKVN4088 optional software license at a cost of $50 to enable the data transfer feature. MOTOTRBO already supports many independent software applications that enhance mobile worker productivity. Text messaging, mobile workforce productivity applications, and large channel lists are easily managed with the XPR 5550 5 line color display. The bright display can be viewed easily in broad daylight or in low light environments with night mode. Four programmable buttons can be labeled for your operational needs and a home button provides an easy user interface. The XPR 5000 series incorporates a single knob for both volume and channel control. With a short press of the knob you can change your volume and channel easily. The XPR 5000 platform also has a nice feature called “intelligent audio” that increases or decreases the volume automatically if surrounding noise conditions change. 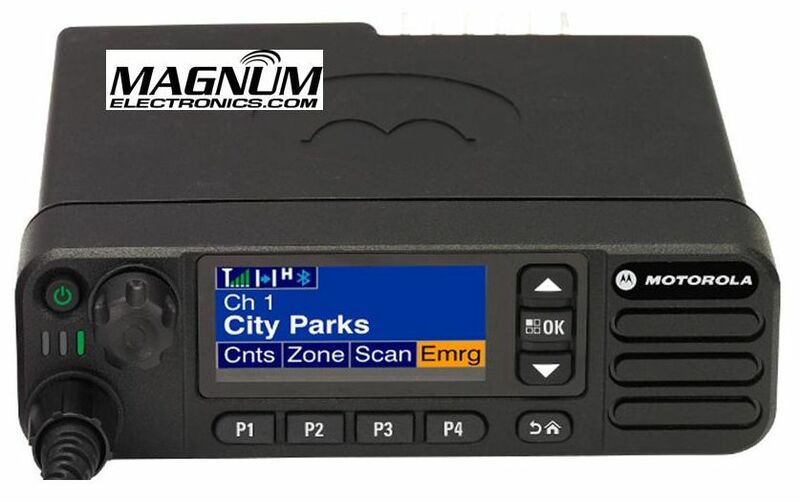 This entry was posted in Bluetooth, GPS Tracking, Motorola, MOTOTRBO and tagged 2-way radio, communications, DMR, fleet management, GPS, XPR5350, XPR5550 by magnumelectronics. Bookmark the permalink.